In the previous post, I have ever discuss about how to Fix Error 5B00 on Canon Printer IP2770. But on this occasion, I want to share about how to fix Error 5011 on Canon Printer MP Series. 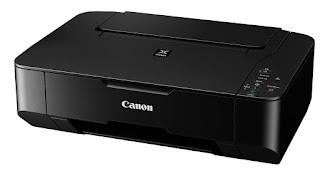 Canon Printer MP Series is a Multi function printer that can be used to Print, Scan and Copy. The Problems that often occur on a Canon Printer MP Series is error 5011 when used for printing. How to solve it? If you want to know step by step to Fix Error 5011 on canon printer, please continue read this article. Error 5011 on Canon Printer MP Series is caused by a scanner that does not work, so the logic board detects this damage and it will show error message 5011 or P22 on the screen. What things those make it error 5011 and How to Solve Error 5011 on Canon Printer? Scanner unit is damaged, to solve it please replace the scanner with the new one. The movement of the scanner is interrupted, it can occur because of dirty, try to clean the scanner; it may be able to solve it. To find out of the problem above, you should have a normal spare part that is used to attempt it. 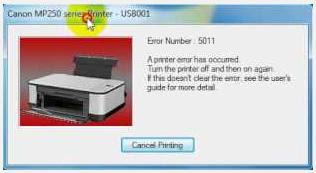 Thus the tutorial about How to Solve Error 5011 on Canon Printer MP Series.